When most people think about automation they probably usually have visions of the large factory production lines at Ford or the massive bottling operations at Miller, but even small companies serving a local community can benefit from automation. Increased Productivity – With the right equipment even boutique manufactures can see large production gains. Savings – Automation equipment pays for itself over time. The increased production output and the reduction in required manpower can make a machine pay for itself in as little as a year. Quality – A robot can do the exact same movement over and over again with millimeter precision. If you want to make a consistent product there is nothing better than a precisely manufactured automation solution. Safety – With the right guarding and safety systems in place there should never be a time when an employee is in danger with an automated system. Safety disconnect switches and pinch point guarding keep the fast moving equipment and personnel separate. Health – Doing the same task over and over for hours on end wears out a human body. It also wears out a robot over time, but those parts can easily be replaced. With automation you can keep your workers healthy, injury free, and stay more productive. Competitive Edge – You’re no longer just competing with the local area, but with the entire world. If you are not automating, you can be sure your competition is, wherever they are located. 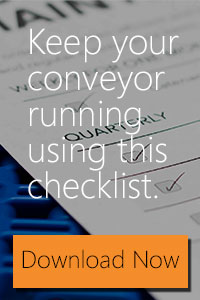 Automation for Small Companies was posted to Words in Motion - A blog created by Product Handling Concepts, your source for conveyor, conveyor equipment, and automation solutions.